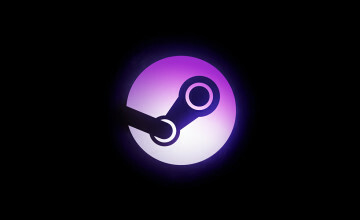 Steam is always up to something. The platform is always changing with the times and adding new features. 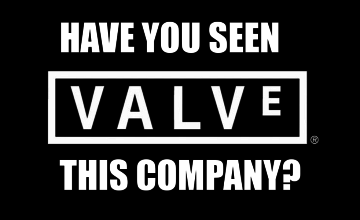 On March 20th, 2013 Valve debuted a new program that would allow developers to sell their unfinished game in hopes to get feedback from gamers to improve the game. It is essentially a paid alpha and gamers are pretty divided by it. Some say it is a great way for developers to create a game that will end up being a success in the long run. Others think it is a way for developers to get rich quick and sell a game that isn’t finished, and it would remain that way forever. Objectively, I can see both sides having merits to contribute. As of November 14th, 2014, only 25% of games that were in Early Access have been released. That is an small number given that most of these games are purchasable and not Free-to-Play. 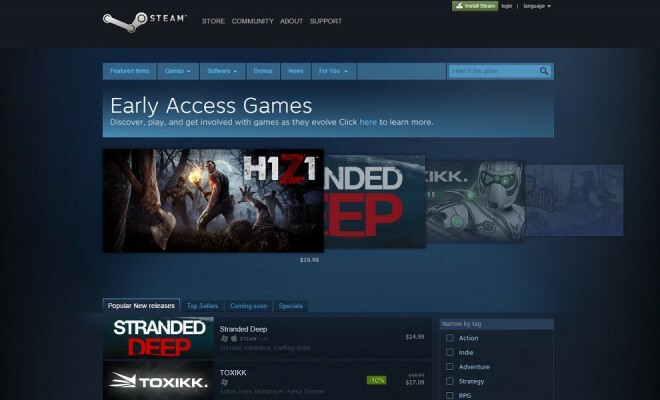 So should you buy games in Early Access or is it a big scam? Well I have to tell you, that really depends on what kind of gamer you are. I have previewed a handful of games in Early Access and some of them have been released as full games, others not so much. I also have a love/hate relationship with the program and I eventually gravitated towards the negative side of things. “This game looks really cool, but it is in Early Access, guess it can wait”. That is basically what runs through my head every time I see an interesting game in the “upcoming” list in the Steam Store. Early Access has no guarantee that a game will be released despite you spending money on it (Starbound and Akaneiro: Demon Hunters) so that is already a red flag for most people. AAA does this without warning (Assassin’s Creed Unity, Dragon Age Inquisition, Any Bethesda Game Ever) and they promise patch updates and paid DLC to fix everything. Steam Early Access is the same thing, except all the cards are on the table. You know you are purchasing an unfinished game, so technically you can’t complain. But people still expect the game to be playable. A common remark made when it comes to Early Access is “Remember when developers would pay YOU to test their game and not the other way around?” While this is true, but there are several factors. There is a level of convenience when it comes to Early Access. You aren’t making a commute down to the studio, you aren’t even leaving your house. You aren’t required to fill out copious amounts of paper work, you don’t have to do anything. Developers used to pay people to test their games because there was actual work and effort to complete. Now you don’t have to even put on pants. What are the benefits? Why should you buy a game in Early Access? This is a question best fit for gamers who love to be involved. Early Access development is very important and feedback is essential. It is more than that, bug squashing is probably the most important developmental step to a game getting released. When I play a game on Early Access, I make sure I report as many bugs as possible. The features can wait, more often than not, a feature that I don’t like in a game will be replaced with something better simply because the developer roadmap to what they envision their game to look upon completion. The money gained from purchasing also goes to the developers to help with funding the game. Making a game is not cheap and many of these games in Early Access do not have the financial backing of other studios. Take a look at Double Fine’s Spacebase DF-9. A game myself found to look very interesting, but it was in Early Access so I didn’t really want to play an incomplete game, I had enough of those already. 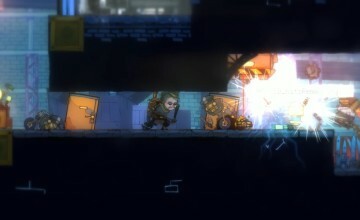 It was announced by the developer that the game’s production would be shut down due to funding issues. The silver lining is that Double Fine released the full source code for the game, allowing modders free reign. With that said, this was a game that people paid for, and were given an incomplete game. The funding just was not there, even with Early Access adopters. That is just one example and the reception for games getting released from Early Access have generally been positive ones. Games like Craft the World, Warframe, and Neo Scavenger are fantastic games that embody what Steam Early Access represents. However, the problem is that developers are using Early Access as a crutch for their game. They use the excuse of “Alpha Stage” and “Beta Stage” to justify people buying their game: If they initially didn’t have the funding or plan for your game, they probably should not be making it. Early Access, like Steam Greenlight, is being abused by developers who prefer to rush a product creating a negative environment for people who actually want to help. I approve of the program, and I have personally seen good games be released from it. Sadly, I also see a massive lack of games getting released even more. Valve needs to create stricter rules for Early Access like they did for their Greenlight program. What those rules should be, I cannot say. But it does need to change before the program is abused to the point of more new games on Early Access than not.